The National Anticorruption Bureau of Ukraine (NABU) has put Inessa Petrivna Kadyrova – the mother of parliament deputy Oleksandr Onyshchenko, the main suspect in a natural gas embezzlement scheme involving Ukrhazvydobuvannya, who is hiding abroad – on its wanted list. Inessa Petrivna Kadyrova, born in 1945, is suspected of committing a range of grave economic crimes, according to the NABU's website. On 15 June, the NABU and the office of the Special Anticorruption Prosecutor announced the discovery of an organised criminal group, which incurred more than UAH 3 billion in losses to the state as a result of joint activities based on agreements signed with the PJSC Ukrhazvydobuvannya. During the course of pretrial investigation it was established that the organiser of the criminal scheme is Onyshchenko, whom parliament stripped of immunity from prosecution on 5 July. Deputies also voted to allow law-enforcement authorities to detain and arrest Onyshchenko. On July 27, Prosecutor General of Ukraine Yuriy Lutsenko signed a notice stating Onyschenko is a suspect in the case. 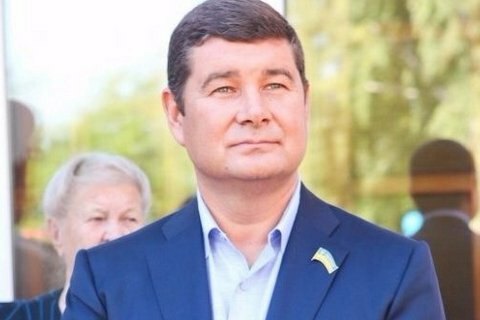 Onyschenko earlier, using his immunity from prosecution as a parliament deputy, fled Ukraine. On July 29 Onyschenko said that he was located in London and had filed, filed for a residency permit and asked for political refugee status in the United Kingdom. Ukrainian security service denies having "secret prisons"